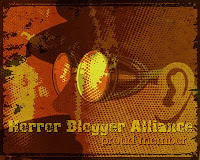 It is what I have lazily termed Shocktober; a month where I intend to do a blog post every single day to celebrate this great spooky month. 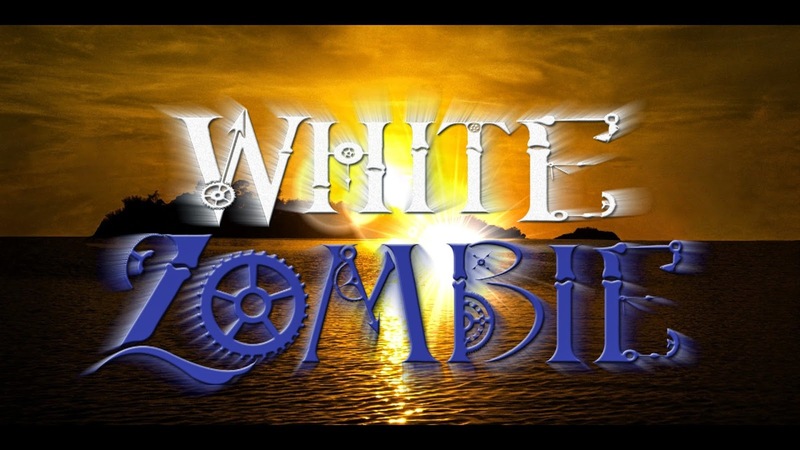 Starting off is a review of White Zombie which is a remake of the 1932 film of the same name. Madeline White (Scarlett Sheppard) and Neil Bellamy arrive on a mysterious island to get married. On the boat ride over they befriend a local plantation owner Gilles Beaumonde who falls in love with White. Once on the island he enlists the help of evil voodoo magician Severin Deveraux to help him get her for himself. Deveraux has a small army of zombies and provides the plantation owner with a special potion that will make White appear to die so that the duo can later 'resurrect' her. I saw the original White Zombie many years ago and as one of the first ever zombie films I can't say I was that impressed. The voodoo magician of that version was named Murder Legendre and played by legend Bela Lugosi but Deveraux is played with relish by Eric Vasbinder who does a great job of hamming up the role, truly a dispicable character. For some bizarre reason many of the cast appear to have had their voices dubbed over with special effects used, sadly Deveraux has such a deep booming artificial voice that it always sounds like he should be doing voice overs for film trailers and doesn't appear realistic. At one point a character says he looks like he has the fires of hell dancing in his eyes and to his credit Vasbinder really does look like a man possessed! White Zombie while not having the biggest budget still works as a period piece with characters dressed in old fashioned clothes and getting around via horses. I loved the effort put in to make this seem like it was happening in the 1930's and a lot of the cast do great jobs, sure many of them vastly over act but they put effort in. Sadly the main male lead; Bellamy is played by someone who has zero screen presence and appears to stumble a lot with his lines of dialogue. It is hard to feel anything for this pathetic character and he just manages to fade into the background even in scenes where he is the only person on camera! More in line with old zombie films voodoo is the cause of these undead ghouls. There is a supernatural vein running through White Zombie, the zombies appear to be authentic rather than just people under a spell but don't do anything threatening, they are just made to work (using zombies in place of horses to pull a cart in one scene is pretty funny as it would have been quicker for the passenger to simply walk). Unlike the original there are a lot of good voodoo practitioners too, they themselves resolve the plot rather than Bellamy who serves no real purpose. The rhyming lines they have can get quite cheesy but the costume design is good and I loved the eyes painted onto their eyelids. At two hours long this does drag a bit, I found myself getting quite bored on more than one occasion and it is not scary at all, a traditional story that doesn't surprise but is mostly entertaining enough. You can tell effort was made to make White Zombie, it shows in the set design, and the enthusiastic acting of much of the cast. Far better than I expected it to be.